We might still be months off from E3, one of the gaming industry’s biggest shows for debuting new hardware and software, but that hasn’t stopped some companies outside of the big three from showcasing some new and exciting offerings. At last year’s CES, Razer promised ‘PC gaming in an all-new form factor,’ touting a product called ‘Project Fiona,’ PC World reports. This year, their hard work has come to fruition with the newly announced Razer’s Edge, the world’s first tablet designed specifically for gaming. 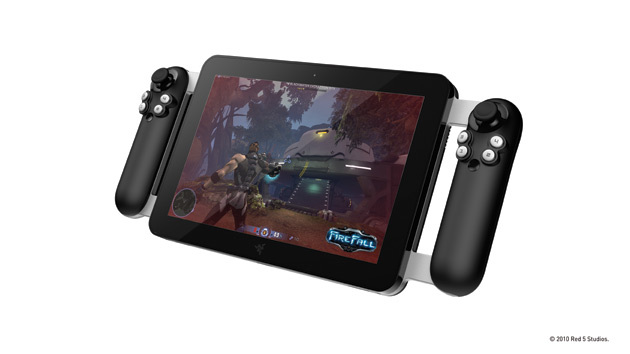 On the outside, the 10.1-inch tablet has an optional gamepad case which includes side-mounted controllers and a rumble feature, as well as the option to prop it up in a docking station and attach two USB controllers. MMO players will be excited to know there’s also an optional keyboard dock. But it’s what they have put inside this two-pound, 0.8-inch thick tablet that makes it really exciting. IGN reports the Razer’s Edge has an Intel i5 or i7 processor and an Nvidia GT640 graphics card with up to 8GM of RAM, which plays current titles at more than 30 frames-per-second; Dishonored runs at 59 fps and Dirt Showdown at 41 fps. The much-rumoured ‘Steam Box’ looks like it has finally come to life – sort of. Xi3 Corporation unveiled a prototype set-top gaming console codenamed ‘Piston,’ funded by Valve, at this week’s show, being displayed at both Xi3 and Valve’s booths, BBC reports. After Valve debuted Big Picture mode for its Steam service last year, many figured it was just a matter of time before the company brought the Steam gaming experience into your living room. Supporting both regular Steam and Big Picture mode, Xi3 announced that the set-top box is optimized to play games in Big Picture mode on your HDTV. There are many unknowns that remain following Xi3’s press release, such as exactly what’s inside, when it’s coming, and if this really is the long-awaited Steam Box or if it’s just another step along the way. At this stage, there are no prices or release date for project ‘Piston.’ The one interesting tidbit that Xi3 did reveal to TIME, however, is that their modular computers are meant to be regularly upgraded, which has an upside and a downside: you’ll always have the latest and greatest in technology powering your gaming console, a problem that often plagues current consoles with five year lifecycles, but what you pay at the time of purchase may end up a fraction of what you’ll pay over the lifetime of owning the product. When a technology company best known for making GPUs and graphics cards announced it will be delving into the handheld gaming market, there were more than a few eyebrows raised. 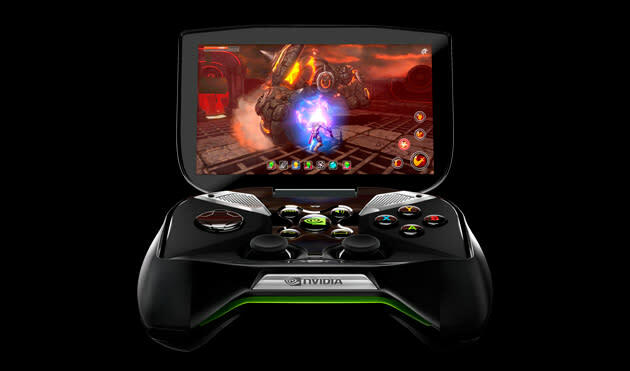 But Nvidia’s new Project Shield should interest those who are looking for a new gaming experience. Running Android 4.2 Jellybean, the device lets you play Android games directly from the device, as well as stream games from your computer. If you’ve got a GeForce GTX 650 graphics card (or later) in your computer, you can stream games from your PC to the handheld over Wi-Fi, GameSpot reports. While the controller might take a little getting used to for some, the handheld gaming experience will likely appeal to many, especially being able to take full PC games (including games accessed via Steam) on the device. CNET describes the device as an “Xbox 360 controller with a 5-inch scree at the top,” so if that sounds like something you’d run out and buy, you hopefully won’t have to wait very much longer. There’s no set price for the new device yet, but it is planned to ship (to the U.S. and Canada) sometime in Q2 2013.